Through routine immunization programs, health workers bring life-saving vaccines to people around the world. At eHealth Africa, we work with our partners to increase vaccination rates in the countries we work in. In Sierra Leone, one of the ways we do this is via VaxTrac. VaxTrac, is a clinic-based vaccination registry system which health workers can use in the field to enroll children and track their immunization records. It eliminates the need for paper-based cohort books, tally sheets, and monthly reporting forms and improves health workers accuracy and efficiency. 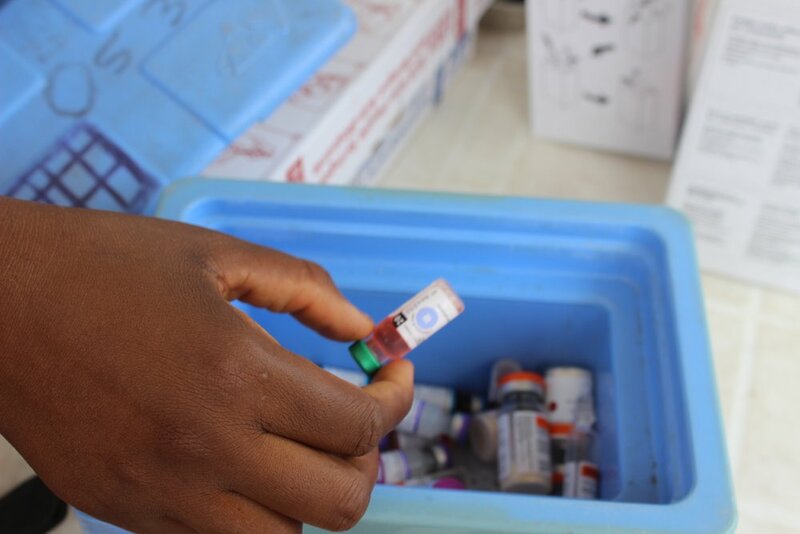 With the introduction of VaxTrac technology into the routine immunizations activity of Sierra Leone’s Western Area Urban, significant contribution has been made with a view to improving on quality, timely, and useful immunization data. eHA VaxTrac currently covers 50 health facilities including the biggest and only children’s referral hospital in Sierra Leone. One of the key features of VaxTrac is that health workers can easily access information on defaulters which can be used for defaulter tracing activity during their outreach programs within the communities they serve. Priority areas within the Western Urban Area have been identified which will further strengthen processes and contribute to the success of the project. This was based on lessons learned and data collected from 2016-2017. Modifying of the VaxTrac software to increase user friendliness and usefulness. 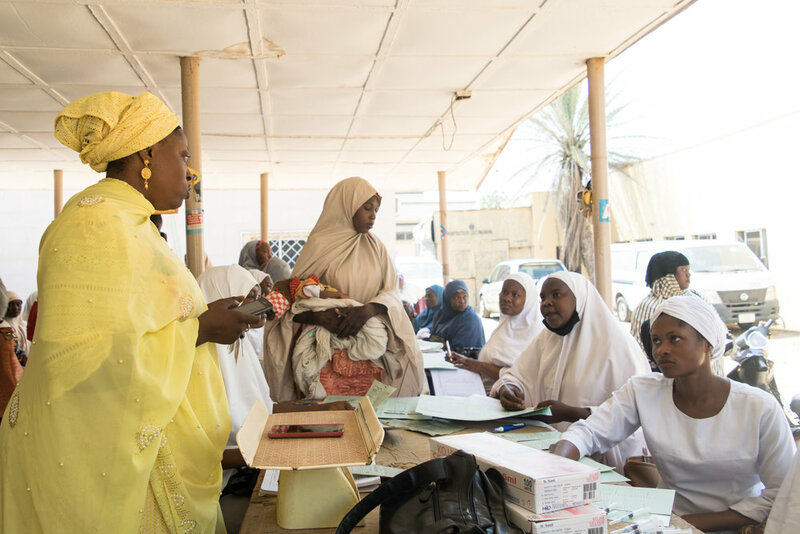 At eHA, we know #VaccinesWork and we look forward to successful outcomes with increased immunization coverage and a reduction in defaulter numbers. In November 2016 we announced the launch of a Child Immunization Initiative in Sierra Leone - an Electronic Vaccination Record and Tracking Project, also known as VaxTrac. The goal of this initiative was to implement an electronic registry for children’s immunizations in order to provide timely and quality data for decision making. Funded by the Centers for Disease Control and Prevention (CDC), eHealth Africa (eHA) implemented the project in collaboration with VaxTrac, Africell, and the Child Health Division at the Sierra Leonean Ministry of Health and Sanitation (MoHS). The pilot phase ran from November 2016 to June 2017. The VaxTrac project has been a thriving success in the Western Area Urban District of Freetown. eHA has led the training of over 110 MoHS health officials and workers from 50 health facilities to conduct electronic registration for children receiving vaccinations via the VaxTrac app. The patient profiles are generated and linked using biometric indicators (i.e. fingerprint scans) from their caregivers or via a QR code sticker on their traditional vaccination cards. Each child’s demographic and vaccination details (i.e. type of vaccine and date of administration) are collected via the VaxTrac mobile app and synced to the VaxTrac monitor analysis system, which the MoHS can access. In addition to storing immunization information in a secure and accessible platform, VaxTrac includes features which support the health system proactively addressing child immunizations. The system has a “call-back” feature which tracks follow-up vaccination timelines and calls caregivers with reminder messages encouraging them to bring children back in for their next round of immunization. This friendly and automated reminder helps ensure that vaccine coverage is as high as possible. It further provides a simple and reliable mechanism for healthcare workers to conduct routine follow-ups. Ultimately, the MoHS will be able to utilize compiled VaxTrac data to make more strategic and informed vaccination decisions via the VaxTrac monitor dashboard which runs data analysis and produces reports. Following the success of the pilot where over 20,000 patients were registered, the completed end-of-pilot evaluation will provide information on necessary software upgrades to ensure that the app remains user-friendly and is streamlined for data collection and analysis. The project partners plan to expand VaxTrac to the 20 remaining health facilities for 100% coverage within the Western Urban Area District. This activity will include greater engagement of MoHS staff in the process of training health care workers to use the VaxTrac app, monitoring its usage and effectiveness throughout health facilities, and analyzing the data collected for a clearer understanding of immunization trends across the district. eHA establishes new standards in health delivery through the integration of information, technology, and operations. This supports our mission to improve the quality of healthcare for underserved populations across Africa. To join our team or find out more about the work we do, kindly visit our website. eHealth Africa (eHA) is often described as an organization which provides technological solutions to strengthen health systems. But what about the “e” in eHA? At the heart of the electronic systems are dynamic software solutions developed and managed by our global health informatics team. In a quest to highlight achievements, share current projects, and inspire the emerging tech community, eHA’s Sierra Leone’s Information Systems Information Systems team led a “Hacks/Hackers Meetup” in Freetown this November. Hosted by local collective “Sensi Tech Innovation Hub,” the event brought together a mix of technology enthusiasts and software coders with a passion for health. Team Manager Manuel Loistl and Senior Software Developer Jasper Timm spoke to a packed house about the Information System team’s role in a variety of eHA activities. This included an overview of: how eHA created mobile applications to track Ebola patients and potential patients during the Ebola outbreak and established the 117 emergency call center’s digital interfaces to connect health workers across all regions of Sierra Leone. Currently, the team is customizing DHIS2 software into a disease surveillance system for Sierra Leone, as well as supporting software modifications in a new partnership with VaxTrac. 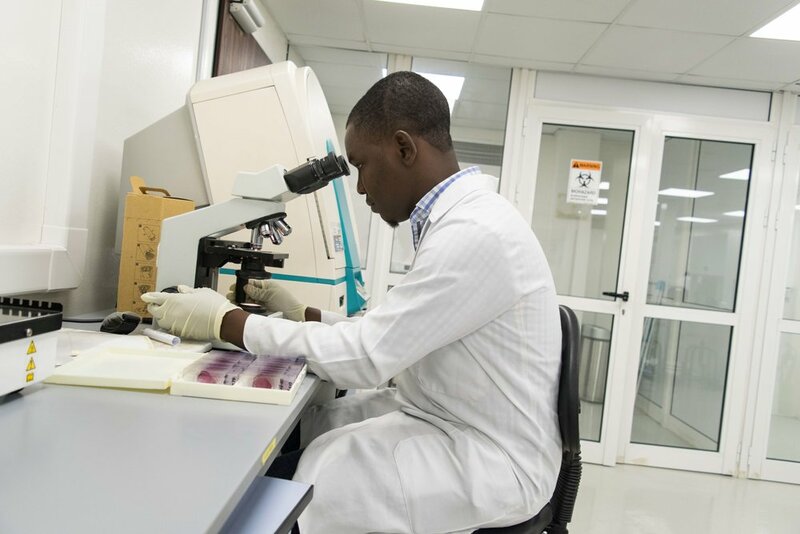 Additionally, Jasper covered important Information Systems processes and systems necessary to generate high-quality digital solutions to meet Sierra Leone’s unique health needs. Excitement was in the air as many participants stayed after the presentations to engage with the team and play with demos of various software solutions created for different eHA initiatives. For future opportunities with eHA Sierra Leone’s Information Systems team, please visit our careers webpage(under Informatics). Follow us for more coverage of similar events via Twitter and Facebook. Remember eHA’s participation in Sierra Leone's national polio campaign? More than simply a community exercise, this event served as an important stepping stone toward the launch of an exciting new initiative to strengthen children’s health in Sierra Leone. eHA is proud to announce its new partnership with VaxTrac, an innovative organization which provides technologies to maximize the effectiveness of vaccination programs in developing countries. Between now and May 2017, partners will collaborate with the Child Health Division at the Ministry of Health and Sanitation (MoHS) to implement an electronic registry for children’s immunization throughout Sierra Leone. Read the full announcement on VaxTrac’s website!